Surprising to hear these three words 'Feel the Jail' but this is true. There is a colonial era jail in Medak district in Telangana. This is quite a famous tourist spot nowadays. This jail is almost 220 years old located in Sangareddy. But now, this jail is converted into the museum and has become a hot destination for tourists. It is surprising to know that you can rent a cell in the jail under the innovative tourism initiative, known as the Feel the Jail tourism program. It offers the 24 hours confinement to the tourists. This 'Feel the Jail' program is launched by prisons department for the tourists. This program is basically for those people who wish to take the experience of the jail and want to spend some time behind the bars. Here, one can take the experience the feeling of being detention. Picture courtesy: Hindustan Times. 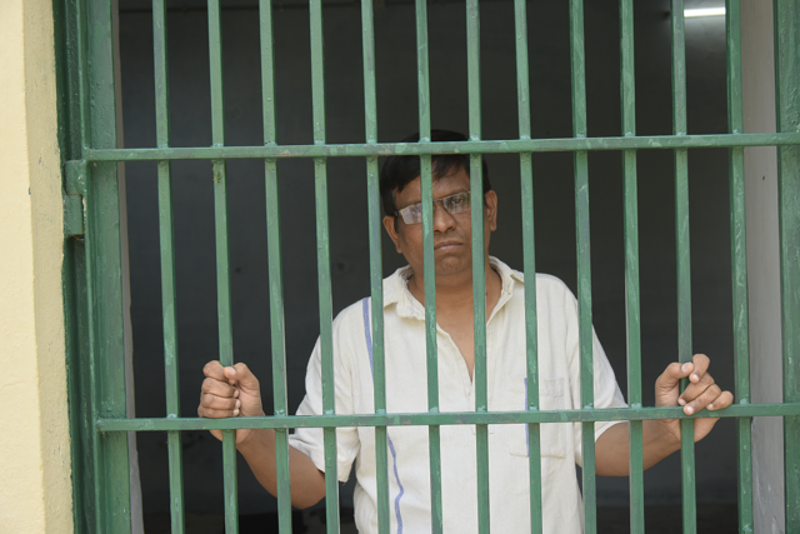 Mr. Srinivasa Rao Apparasu (Journalist, Hindustan Times) exploring the "Feel the jail" program as a paid tourist visitor. The persons who rent the cell in this heritage jail will be known as prisoners. They will be provided with the prisoners dress of pure Khadi. They will have to wear that uniform so as to feel like the real prisoner. During the stay, the tourist prisoners will be served the same food as served to the inmates at the time when this jail was active. The food will be provided in the same type of steel plates. The tourist would get the feel of the real prisoner and has to follow all the rules and regulations of the prison. Feel of real prison life would dissuade people from indulging in the wrong activities. Also, a prior booking is needed to avail this offer for the tourists. This is essential so that the jail authorities can make the necessary arrangements for the inmates. This district jail was set up during the prime ministership of Salar Jung – 1 in the year 1976 during the Nizam rule of the princely state of Hyderabad. This is one of the renowned jails of its time and now one of the renowned museums which is visited by the number of tourists. Its popularity has increased with this Feel the Jail program. Picture courtesy: Hindustan Times. 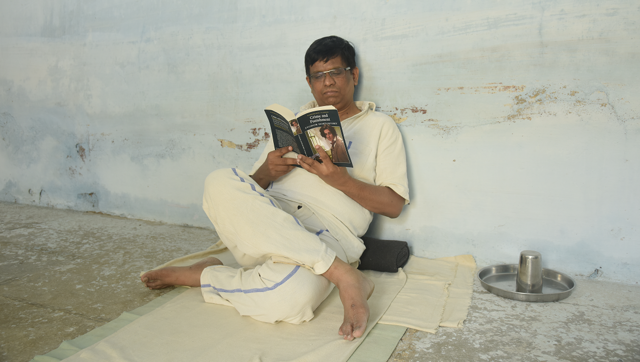 Mr. Srinivasa Rao Apparasu (Journalist, Hindustan Times) paid Rs 500 to experience the jail life and spent a day in Telangana's Old District Central Jail at Sangareddy town. There is work schedule for the visiting prisoners and they will have to do all the jobs which are assigned to them such as cleaning of the barracks, plantation of saplings and other similar jobs. There, the prisoners will be provided all the meals as per the jail menu. Nobody will get the food of their own choice. Along with the food, the tea will also be served to them. It is amazing to know that this famous jail is spread over the three acres of land and the building occupies more than one acre. There are two wings in the jail i.e. male wing and female wing. Also, there are 9 barracks in the male wing and one in the female wing. After using this jail for almost about 216 years, a new jail was built near this jail and all the prisoners were shifted to the new jail in the year 2012. After shifting the prisoners, this jail was opened to the public and converted into the museum. This museum presents the history of the renowned leaders who were lodged here and depicts their journey. So now, it is amazing for the tourists to join this "Feel the Jail" program and seriously feel the pain of the jail and their rules and regulations. Needless to say, it will be an experience to remember for the life for them. Also, those people who will join this surprising program may feel discouraged from indulging in the wrong activities as they already know the hardships of the prisoners. This experience life in Indian jail is an attempt to generalising/glorifieng the jail and jail life, which I believe is not correct. We only should wish how not to go to jail. Why don't we rent a govt schools on holidays so as people can understand the condition of the schools our poor children are studying. This is an excellent way to show what is behind the bars they face can be faced to us, So let us have a try on this Tourist exploration in a new method and for some that will not be digested. Take an example a man or a female who has the age above 50 have you ever seen inside of the Jail so this is an opportunity and dont miss the chance. Differences and specialties make a difference, So let us ride on this awesome Tourist Industry College students can come on a group and know more. The brains behind this project I salute you. Wow. It is something special to stay in jail by paying some cost also. We can't want to go to jail, but while pay and staying at the jail is a very different situation. Well this jail will be different from the real one. But for those who want to experience the jail life, I think this program will be apt. I don't think that experiencing the life of jail for a day or two can really suppress the criminal tendency inside a person. So all I say is that you want to go there for fun and experience, you must. If you have any other reason other than this, drop the plan and visit Nainital or Goa instead. It's really an amazing experience one should have experience of jail life behind prison.